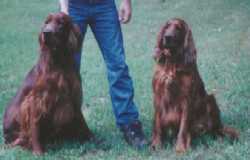 Our Irish Setter, Paddington Tall Boy and Daughter Star. 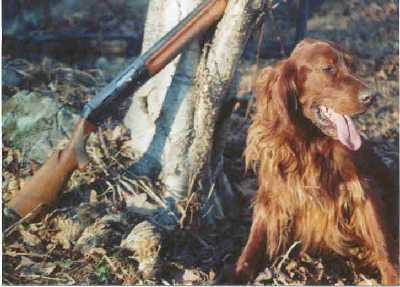 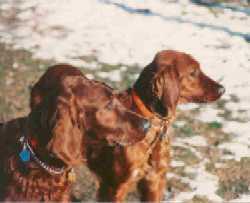 Our Irish Setters love to hunt. 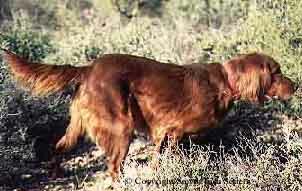 Picture of our Irish Setter, Grandma Windy Babe--just loafing. 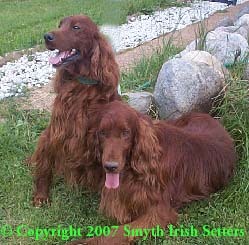 Our Irish Setters are high energy dogs and make good walking companions for those who like to hike, hunt, or just stroll down the old country road. 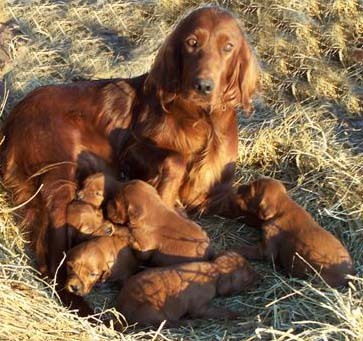 A picture of our Irish Setter Puppies at about 2 weeks! 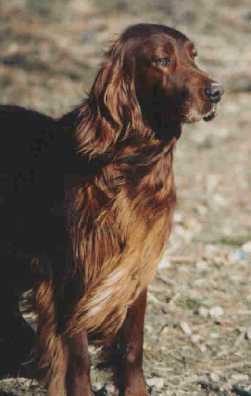 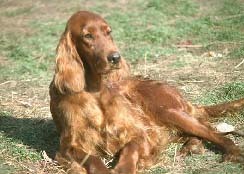 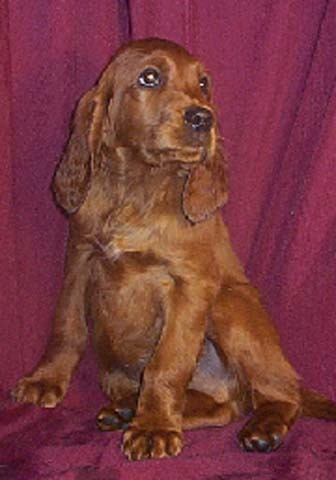 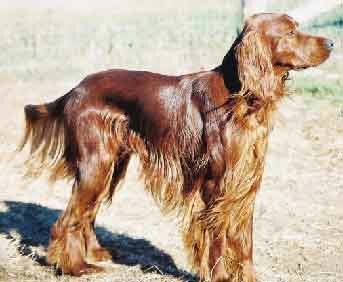 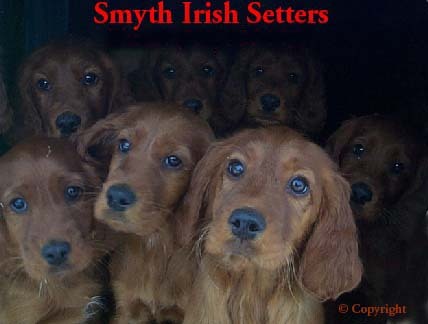 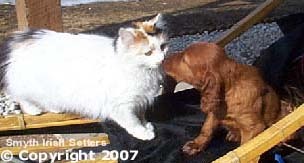 More information about our Irish Setters can be found on our Home Page below for this site. 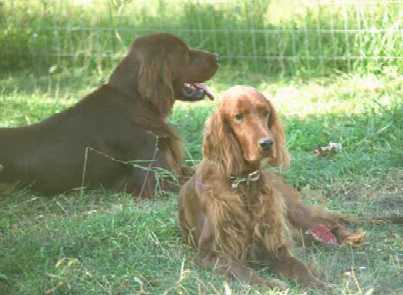 Enjoy your visit of our site.